FRESNO, Calif.--(BUSINESS WIRE)-- James M. Ford, President and Chief Executive Officer of Central Valley Community Bank (Bank), announced the addition of a new executive level position for the Bank, naming James Kim as Executive Vice President, Chief Administrative Officer. Kim joins Central Valley Community Bank with over 15 years of bank leadership expertise most recently serving in the positions of controller, chief operations officer, chief financial officer and chief executive officer for financial institutions in the Greater Sacramento Region. He has extensive experience in strategic planning, financial analysis, regulatory reporting, balance sheet management, human resource management, and client service. 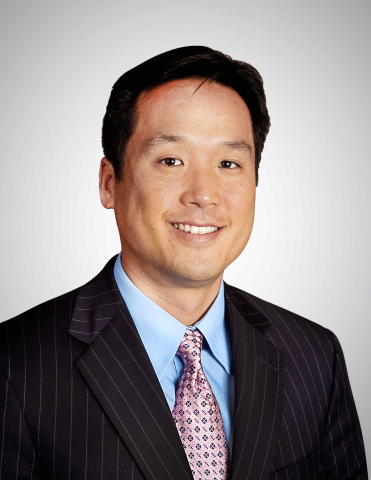 Kim began his career working for a Big Six accountancy firm in Sacramento after receiving his MBA and BS in Accountancy from California State University, Sacramento. In his new role, Kim will head the Bank’s Administrative Division overseeing central operations, information technology and facilities management among other executive areas of responsibility. “We are pleased to welcome James to our company and look forward to the innovative leadership perspective that he will bring to enhance our existing culture of success,” stated James M. Ford, President and CEO of Central Valley Community Bancorp and Central Valley Community Bank. “With our growth in recent years, it was time to expand executive level oversight to ensure that our nearly 40-year community bank relationship model was managed at its historic level of excellence today and into the future,” concluded Ford. Central Valley Community Bancorp trades on the NASDAQ stock exchange under the symbol CVCY. Central Valley Community Bank, headquartered in Fresno, California, was founded in 1979 and is the sole subsidiary of Central Valley Community Bancorp. Central Valley Community Bank operates 24 full-service offices throughout California’s San Joaquin Valley and Greater Sacramento region. Additionally, the Bank operates Commercial Real Estate Lending, SBA Lending and Agribusiness Lending Departments. Central Valley Investment Services are provided by Raymond James Financial, Inc.
Members of Central Valley Community Bancorp’s and the Bank’s Board of Directors are: Daniel J. Doyle (Chairman), Daniel N. Cunningham (Lead Independent Director), Edwin S. Darden, Jr., F. T. “Tommy” Elliott, IV, Robert J. Flautt, James M. Ford, Gary D. Gall, Steven D. McDonald, Louis C. McMurray, Karen Musson, and William S. Smittcamp. Sidney B. Cox is Director Emeritus.